I have been opening the waterworks to the strangest songs on the radio. This would not be a bad thing except I only listen to the radio while I am driving and it makes for a weird scene. I am male, 6'3" tall, about 290 pounds and drive an F150 (pickup truck for you non truck types). A red one. As I have pointed out, in a comment posted on a great blog (Living Life With Sarcasm, Kids, and MS), I have been doing this and getting some strange stares at stop lights. I mention this because it is helpful to put an image in your head. Ok, so I was listening to the radio when an Elton John song, Don't Let The Sun Go Down On Me, came on. Sure enough about 5 or 6 notes in the tears started rolling. As usual I felt more than a little embarrassed, because we all know real men don't cry (riiiiiight! ), but then it hit me. BAM! Another car.... no, not really. I am being reminded of something I had forgotten. My mom, may she rest in peace, was a huge influence on me and my musical choices. She taught me that all music had something to offer and was worth listening to. Even to the end we both agreed that rap was ok to not like but I have some on my iTunes account and my iTouch (Not to mention Spice Girls, Aqua, and Toni Basil but that's another post). I remember when I was in elementary school and getting ready in the mornings. Mom would fix us some oatmeal (or something that I remember being oatmeal but could have been boiled paper for all I know now) and have the stereo playing. It wasn't always Elton John but it is his music that stands out in my memory. She seemed to smile more when she listened to him, hum a little and even sing softly to herself. It is this memory that really stands out in my mind and quite possibly why I have a particular affinity for anything done by Elton John. While so much of my childhood is lost in an ever expanding fog these memories stand out in sharp contrast. To be honest I could not swear to you they are real anymore than I can tell you a blackhole is real. To me it is real and that is all that really matters. My mom died in 2006 after a very long struggle with cancer. The last 8 months of her life was spent confined to a bed set up in the living room so she could be at home living with us instead of relegated to a nursing home or stuck in a back room forgotten. The last 5 months or so she could not speak or move except for a forced smile, the faintest of nods, or the grip of a titan when I would hold her hand. My father and I, along with the angels from Hospice, took care of her. The one thing she loved, even then, was listening to the radio and I do know that when any Elton John tune came on she seemed to lose herself in the music. Perhaps she was remembering something like I did or maybe even a childhood memory of her own came to keep her company for those few minutes. This is the first part of why I am crying so much lately. I miss her dearly and would give anything to see her one more time. The second part is my MS. I am only 7 months into my diagnosis (Though I believe I have been living with the disease for more than 6 years at this point) and I am having a little trouble coping with the future. The song in question is emotional to me because of the lyrics and they do mean a lot to me. I guess it is true that each person takes away their own meaning from a song. This song especially reminds me of mom and the struggle I have to face with my MS. She fought her cancer to the very end. She never once said she would lose to it. Even when the meds made her loopy she fought. Regardless of the fact that the cancer was doing things to her she could not control she never gave up. She was a strong woman with a heart the size of the universe even down to that last day. I remember feeding her breakfast (A little bit of scrambled eggs, toast and orange juice). She could not talk but her eyes spoke volumes. There was a fire that burned in those eyes that I am reminded of when I hear songs she loved or would have loved. She lived to the very end. That is why I am crying right now. I will not give up without a fight. I will not let her down; not now, now ever. MS may be doing things to me that I can not control I will not let MS control my life. I will still live each day as hard as I can and I will do it for myself, for my friends and family but most of all for the memory of my mom. To truly be alive you have to live no matter what your circumstance and to do anything less is giving up. Why should I be any different? All these new drugs we now have for MS - Avonex, Betaseron, Copaxone, Rebif, Novantrone, Tysabri - the list goes on. Not one of them promises to make us feel better. As a matter of fact, many of them tell us to expect to feel worse (with flu-like symptoms)! But still we endure the injections, IM or SubQ, weekly, several times a week, or daily, or the monthly infusions which offer even graver possible side effects, some of which can kill you. Still, most of us take one, either out of hope that it will slow our pregression as promised, or out of fear that if we do nothing we are surely screwed. I held off for several years because I was doing well, and because I was on Medicare. I simply couldn't afford any of them. Also, I wasn't charmed by the meager benefit I felt they promised. Basically, they help one third of the people who take them slow their MS by about one third (of projected outcome). That sounds like a crap shoot to me. Still, I signed on. So, now I refer to these DMDs as Drugs of Mass Destruction. Still, out of both hope and fear I give myself an injection every day of Copaxone. Some shots leave a bruise, others a lump, and they all leave a sore spot which lasts for anywhere from 20 minutes to ten days! For me, the shots on the thighs are the worst. The ones on my belly or "muffin top" (heh) are the easiest. I am back to having just one relapse every year or 18 months, and with IVSM, I recover from them completely. May my luck with that hold out, because my relapses affect my ability to walk the most. While I don't fear once again being wheelchair dependant as I was during my first 2 1/2 years with MS, I do fear the inaccessibility of my house. My bathroom door is only 19" wide! Hell, I can't even get my walker through it without folding it up a bit. Because of that alone, I will continue taking my shots, and hope for the best. The worst is too painful to contemplate. Vitamins, Minerals, Supplements, Diet - Oh My!!! I wanted to announce that my new blog is set up and ready to go. It is my hope that you treat it as a resource when you are looking for information about vitamins, minerals, supplements, and diet. Come back often for your curiosity. There will be anywhere from seven to twenty postings per month, as my time allows. They will be dated and numbered. 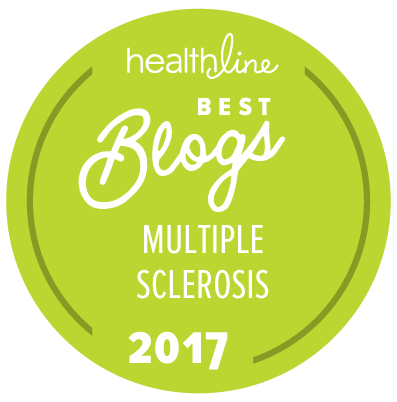 Although it is a blog for everyone, a lot of it is geared toward those of us with Multiple Sclerosis, Rheumatoid Arthritis, and/or Crohn's Disease - but only as far as vitamins, minerals, supplements, how to read blood test results, and diets. All of the information on the Vitamin/Supplement blog can be utilized by anyone looking for anything from RDA (Recommended Daily Allowances) to Blood Test Ranges. So as you can see, it is quite a bit of information there. Please don't let the overwhelming amount of information scare you away. I put a search bar on the blog that can only be used to search that blog. So, I suggest that you use the search bar when you are looking for a particular item or items. 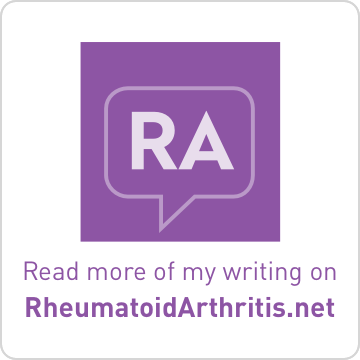 So for example, if you are interested in Recommended Daily Allowance (RDA) of a certain supplement or vitamin, you would type in RDA. Or if you were interested in Lab Test Values or Lab Test Results, you would type that in. All of the postings with those keywords will come up on your screen. I hope this will inspire you to go check out my new blog. Drop me a note there and let me know you stopped by. Also, if you have an interest in something that is NOT on that blog, please comment so I can research it and then blog about it. This concludes the 40th edition of the Carnival. The next Carnival of MS Bloggers will be hosted here on July 30, 2009. Please remember to submit a post (via email) from your blog of which you are particularly proud, or which you simply want to share, by noon on Tuesday, July 28, 2009. I treasure my DMD. For me, it's been a lifesaver. I'm one of the fortunate ones who has had positive results. Thanks for featuring me, Lisa. And Jen, I am really happy that the DMD is working for you. I just haven't had those stellar results. Yarrg Lisa. It be a good ting we dinna make ye walk tha plank! That sounded much funnier in my head. Might be the accent it sounded like. Dunno for sure! Thanks anyway for including me. I feel so honored, and humbled, and happy, and squishy, and... uh oh. Well I had already read the pieces by Mike and Anne but I loved them in the second reading as well. I found Wesbter's piece especially intriguing since I still am unsure about DMDs. I have heard all the arguments before about why someone might take them but few arguments as to why someone wouldn't. The beginning of the article really summed up my doubts. The end of the article gave me something to consider. I know what you are going through. I've had my diagnosis for a year now and every now and then it pops up and surprises me with the same emotion I had the day I found out. I try to tell myself to appreciate what I have right now and perhaps we will be one of the lucky ones that don't get the worst of it. It's hard yes when I feel my body doing things that I don't like, but I know it could be worse. 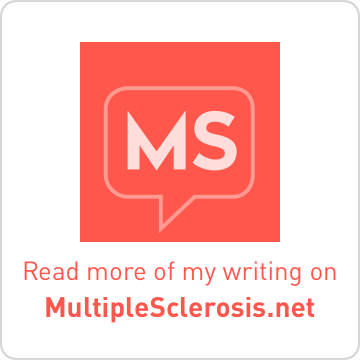 Just know, you have Ms but it doesn't have you. It can control only so much... we still have a whole lot of power friend. And yes, real men do cry... that whole stereotype has been backwards for a long time and we ladies know it. Anyway, my heart goes out to you, I'm here if you need me. 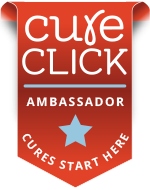 Lisa - would like to get your input on a project I am working on but having trouble reaching you via email. Will you email me please?